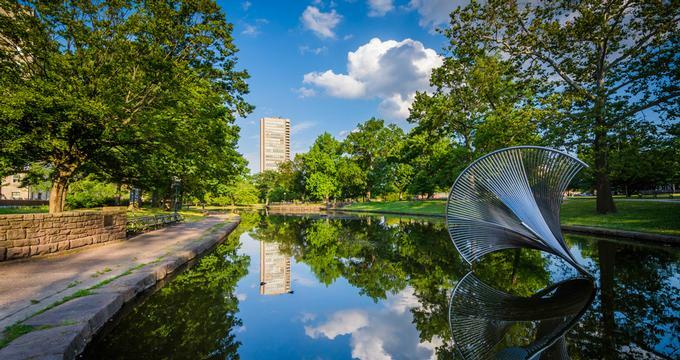 Originally a Dutch colony, Connecticut is a small state with big impact on the country’s art, politics, history and culture. 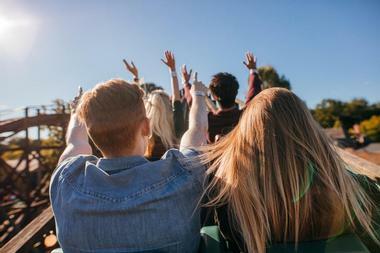 Its breathtaking beauty, from Bear Mountain to Long Island Sound, and the proximity to large East Coast urban centers, make Connecticut a popular weekend destination for families, couples and those seeking solitude. You will find romantic tall ships in Mystic, priceless art at the Farmington’s Hill-Stead Museum, wedding venues, flea markets, and diverse activities at the Lake Compounce. 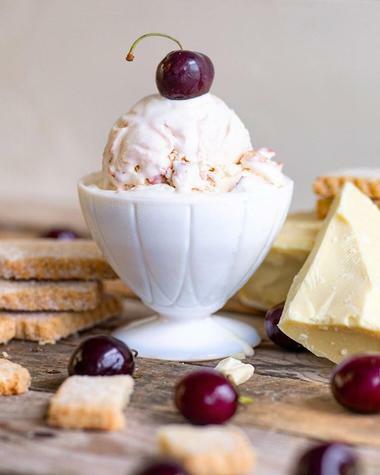 Here are the best things to do in CT today. 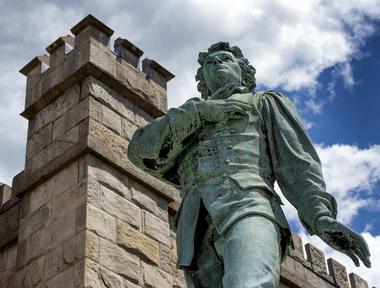 You can feel the history everywhere you go in Mystic. 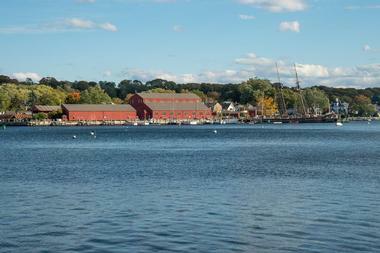 This charming Connecticut seaside village is a focused on its glorious maritime past. Visitors can explore the magical Mystic Seaport, a beautifully recreated 19th-century village with its tall ships, or visit the Mystic Aquarium which is home to seals, beluga whales and dolphins. Double the fun and take a ride in one of the 1920s coaches pulled by an original steam locomotive and then hop on the Becky Thatcher riverboat and take a slow journey on the Connecticut River. The Essex Steam Train and Riverboat adventure is a two and a half hour trip through the picturesque Connecticut River Valley, called "one of the last great places on Earth" by the Nature Conservancy. The trip starts at the 1892 historic Essex Station. The train will take you to Deep River Landing, where you board the Becky Thatcher riverboat for the one and a quarter-hour pleasant cruise along the Connecticut River, pass Goodspeed Opera House, Gillette Castle and beautiful landscape on both sides of the river. The Valley Railroad Company, which operates the Essex Steam Train & Riverboat, offers a number of other excursions and adventures on boats or trains, separately or together. 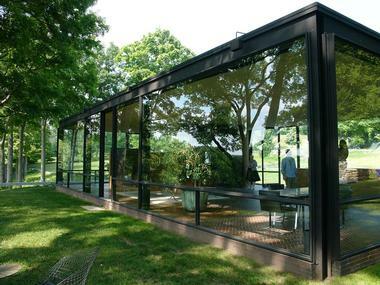 The Glass House is one of 14 structures located on the verdant 49-acre property that today features a permanent collection of significant 20th-century sculptures and paintings, as well as occasional temporary exhibitions. 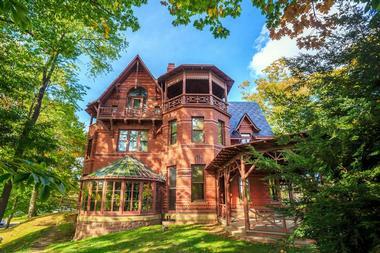 The property is a National Trust Historic Site. The site is open and tours are available from May to November. In the early 20th century, Miss Florence Griswold's boardinghouse housed a number of young American impressionist artists, who lived and painted in the house, sometimes on the house doors and walls. Some of the more well-known artists who lived here include Henry Ward Ranger, Childe Hassam, Edward Charles Volkertand Willard Metcalf. The New England Air Museum, at Bradley International Airport, presents the history of aviation in a lively and interesting way. The three hangars of the museum display over 65 aircraft, from the early pioneering flight eras to modern jet planes, as well as helicopters and ultra-light aircraft. There is a large exhibit of aircraft engines spanning the history of flight, a good-sized display focusing on the history of commercial aviation, and educational videos for children and adults. There is an emphasis on interactive exhibits at the museum, with a flight simulator, cockpits in which visitors can sit and test out the controls, and hands-on activities and interactive games for children. 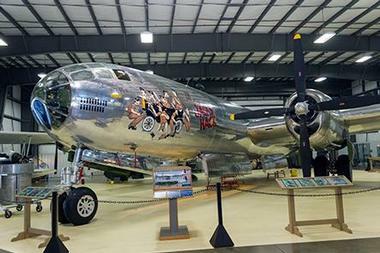 Visitors can even watch aircraft being restored. The museum has a gift shop. 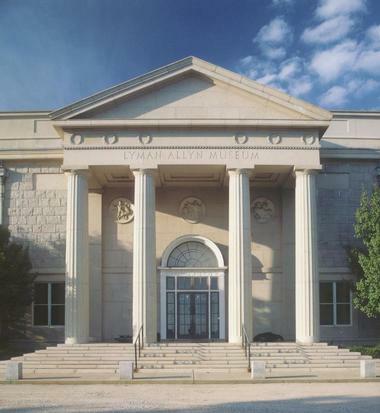 Located in New London, Connecticut, the Lyman Allyn Art Museum was established by Harriet Upson Allyn in 1926, so people could learn about art and culture. 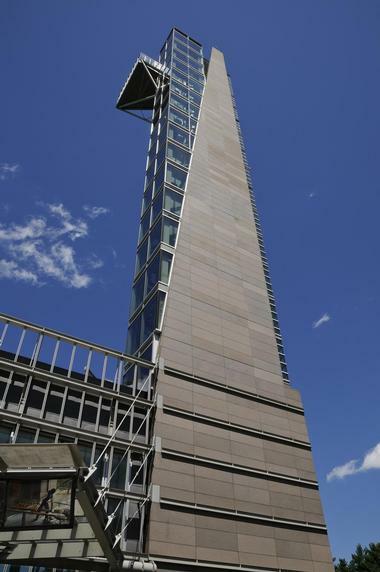 The museum hosts Southeast Connecticut's most important art collection. It includes European, non-Western and American decorative and fine art. Some of the most significant artworks are American 19th-century paintings, European 17th-centuryartworks on paper and contemporary works of art. The museum organizes educational programs for visitors of all ages. A part of the museum's campus is the beautiful 1829 Federal style stone Deshon-Allyn House, which was home to various members of Allyn family. The Wadsworth Atheneum Museum of Art in Hartford, America's oldest continuously-operating art museum, was founded by arts patron Daniel Wadsworth in 1842 and has since then paved the path for the many major art museums in the country. It was the first American museum to acquire artworks by Caravaggio, Joseph Cornell, Frederic Church, Joan Miró and Salvador Dalí, and also the first in the country to showcase exhibits of important surveys of works by Surrealists, Picasso and Italian Baroque masters. What was once a mighty 2,700 ships-strong American whaling fleet, consists today of only one ship: The Charles W. Morgan.This magnificent tall ship was launched in 1841 from the Jethro and Zachariah Hillman yard in New Bedford, Massachusetts. At almost 107 feet long and with a beam about 27 feet wide, the ship carries 7,134 square feet of sail and used to sail with 35 sailors from around the world. The cramped, stifling hot quarters for officers and men were below the deck. After five years of restoration, the Charles W. Morganset out in 2014 for its 38th sail to New England ports-of-call, as a magnificent reminder of America's glorious maritime heritage. The Hill-Stead Museum is a stately Colonial Revival house on a large estate in Farmington, Connecticut, designed by one of the first American female architects, Theodate Pope Riddle, in 1901 for her father Alfred Atmore Pope. Today it is a museum, best known for its major French Impressionist masterpieces, which hosts art collected by Pope and his daughter. Some of the most significant are paintings by Mary Cassatt, Eugène Carrière, Edgar Degas, Claude Monet and Édouard Manet and engravings by Albrecht Dürer are on display. The house remains as it was when Theodate lived in it, and 19 rooms are open to the public. It is furnished with magnificent paintings, prints, art pieces, furniture and. Lake Compounce, continuously-operating since its opening in 1846, is the oldest North American amusement park offering 332 acres of pure family fun. The park includes Crocodile Cove, Connecticut's biggest waterpark, with several slides, a lazy river and a wave pool. The park has over 50 attractions and exciting rides for the entire family, including Boulder Dash, the best wooden coaster in the world. New rides are added yearly, such as the latest, Phobia, the first triple launch coaster in New England, which reaches speeds of up to 65 miles per hour and includes an adrenaline-pumping “cobra roll” 150 feet up in the air. The Drum Circus, Flying Elephants and the Antique Carousel are well suited to younger guests. The park offers food of all kinds for every taste. Rocky Neck State Park is set amid coastal dunes, salt marshes, and features a pristine white sand beach which is perfect for swimming and sandcastle building. A boardwalk runs the length of the beach, and there are trails leading to viewing platforms overlooking the sea from which visitors might see some of the park's bird life. Osprey, cranes, herons, and mute swans make their homes here, no doubt attracted by the herring spawning grounds on the coast. Salt water fishing is permitted, and the catch is usually mackerel, blackfish, flounder, and striped bass. The park has a 160-site campground, showers, restrooms, picnic areas, and a seasonal lifeguard. The Maritime Aquarium in Norwalk encourages visitors to protect the waters and creatures of Long Island Sound and to care for global ecosystems. With several opportunities for hands-on exploration of sea animals, visitors here get a rare up-close look at the creatures of Long Island Sound. Touch pools feature sharks, rays, jellyfish, sea stars, hermit crabs, horseshoe crabs, and whelks. 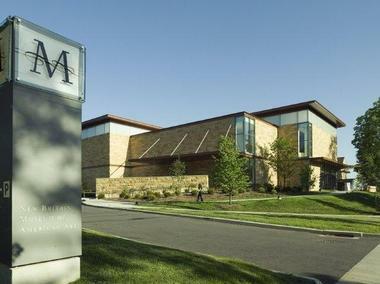 The New Britain Museum of American Art showcases American art through the ages, and owns more than 11,000 works of painting, illustration, photography, and sculpture. The Sanford B.D. Low Illustration Collection includes important works by Norman Rockwell. The museum's permanent collections are varied, and incorporate Colonial and Federal portraits, the early and late Hudson River School, 19th century still lifes, post-Civil War figural painting and sculpture, Impressionism, Social Realism, Surrealism, Early Modernism, and the Ash Can School. Groups of eight people or more can participate in hour-long docent-led guided tours, and the museum welcomes school groups, early childhood groups, and has resources for homeschooling. 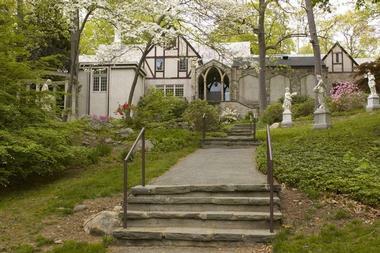 The Stamford Museum and Nature Center is a museum, a farm, and home to over eighty acres of nature trails. The museum, housed in the neo-Tudor Bendel Mansion, contains collections of American art, natural history, artifacts of Native American art and culture, and a display of farming implements. The ten acre farm incorporates barns, a maple sugar house, and dozens of farm animals, including chickens, pigs, and cows. Along the nature trails visitors may spot red foxes, white tailed deer, salamanders and toads, woodpeckers, Eastern bluebirds, and wood ducks. The property maintains a pond inhabited by river otters, and has an observatory with a 22-inch telescope, where monthly astronomy talks and guided star gazing take place. The museum and nature center offer tours, educational programs, and summer camps. PEZ is a highly recognizable candy in collectible dispensers, which have been sold and manufactured in the United States since 1952. PEZ dispensers have become part of American pop culture and reflect the times, as new character heads are developed to keep up with current trends. The Visitor Center has been open since 2011, and offers self-guided tours, a display of historic advertisements, viewing windows to watch the manufacturing process, and videos which show the candy being made. Scavenger hunts and bingo games make this a fun visit for adults and children alike. School and other groups of more than ten persons can enjoy a candy-making demonstration. The Visitor Center also organizes PEZ-themed birthday parties for children. 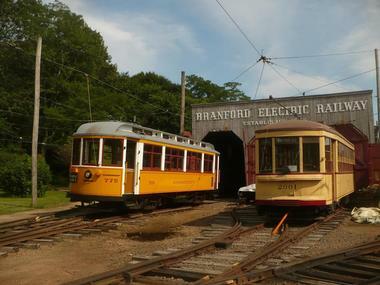 The Shore Line Trolley Museum is a National Historic District, and displays and educates about the oldest running trolley line in the United States. The museum is famed for its collection of over 100 vintage transit vehicles, and its diverse collection of equipment, photographs, documents, and artifacts related to the history of the Trolley era. Visitors to the museum may take a ride on a vintage trolley through scenic salt marsh surroundings, and for an extra fee, may drive a trolley car. The Trolley Reading Program is for children 4-8 and includes a trolley ride and a children's book read to them aboard the museum's "Story Trolley". The Peabody Museum, which is located on Yale University campus, has a mandate to increase public understanding of Earth's history through exhibits and education. The museum is home to replicas of important hominid skeletons, such as the Turkana Boy, the most complete early hominid ever found, and a set of footprints, 3.5 million years old, that were preserved in volcanic ash. The mammalian evolution and dinosaur halls are highly popular, and contain full-sized fossils of a mastodon, a brontosaurus, and a stegosaurus. The Discovery Room is a great place for children aged 5-12, and has touchable specimens and hands-on activities. Wide-ranging educational programming is available for children, adults, school groups, and summer camps and an after-school program complements the museum's dedication to education. The U.S. Navy Submarine Force Museum is located on the Thames River in Groton, Connecticut. It is home to the decommissioned U.S.S. Nautilus, a National Historic Landmark, which was the world's first nuclear-powered vessel. Completed in 1954, it was the first ship to go to the North Pole, and had a long and varied service life. Audio-guided tours of the submarine are available; visitors who dislike close quarters and tight spaces are advised not to take this tour. The museum is full of interactive displays, which give visitors a chance to try out a periscope, and contain artifacts, documents, and photographs related to United States Submarine Force history. The Beardsley Zoo is a small attraction geared mainly for children. It is dedicated to the preservation of endangered species, and contains mostly North and South American animals. The zoo is home to several endangered species, including the Andean condor, the Siberian tiger, the ocelot, the golden lion tamarin, and the giant anteater. 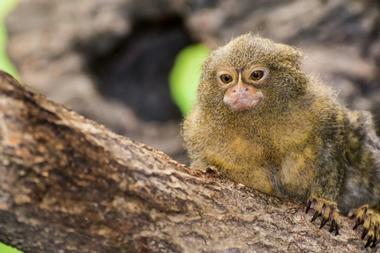 A tropical rainforest zone takes visitors into the humid climate that supports its monkeys and tropical birds. Visitors may ride on the back of a camel, or pet the animals in the barnyard area. The zoo has a carousel, an eatery, a gift shop, and is available for birthday parties. Beardsley Zoo also has an educational program that can be accessed on or off-site. 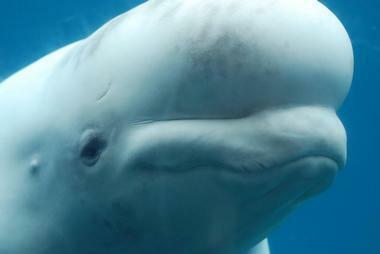 The Mystic Aquarium exists to inspire people to protect the ocean, and to conserve ocean life. 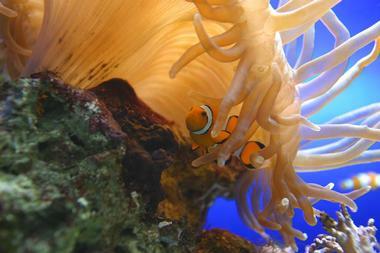 Along with the usual fascinating tanks of colorful sea-dwellers, the aquarium has unique offerings. The Arctic Coast exhibit brings visitors up close to beluga whales, the African penguin exhibit shows off many of these critically-endangered little birds, and the frog exhibit houses more than thirty species of frogs from all over the world. Visitors will love the sea lion show in the marine theater, will have an opportunity to touch lizards, snakes, and American alligators in the Reptile Encounter room, and to marvel and shriek in the 4D theatre. Interactive exhibits introduce visitors to world habitats, and give an understanding of why the earth's different ecozones must be protected. The Mark Twain House and Museum is consistently rated among the best historic houses in the world, and is a National Historic Landmark. Samuel Clemens, also known as Mark Twain, lived here with his wife and three daughters from 1874-1891, and it was here that Twain wrote his beloved major works, including Tom Sawyer and Huckleberry Finn. The three-story twenty-five room house is representative of fine Gothic architecture, and visitors may take docent-guided tours of rooms including the grand hall, the grand library, the elegant glass conservatory, and the billiards room where Twain did his writing. Living history tours are also available; these are led by docents in period costume, and give visitors a behind-the-scenes look at the house. Seasonal ghost tours and murder-mystery tours add to the delightful offerings of this beautiful historic home. The Mashantucket Pequot Museum is located on land belonging to the Mashantucket Pequot people, and is primarily a research institution dedicated to the study of diverse Native peoples in the USA and Canada. The museum seeks to bring those studies to life, through exhibits, dioramas, videos, films, and artifacts, and through a life-sized recreated Native village which visitors can walk through. One gallery is dedicated to Native American arts and crafts. The museum has permanent exhibits depicting the area's natural and cultural history, a restaurant serving a variety of Native American cuisine, and a gift shop selling Native American arts and crafts. Studio 80 + Sculpture Grounds is a premiere arts center in Old Lyme, situated on 4.5 beautiful acres along the banks of the scenic Lieutenant River. 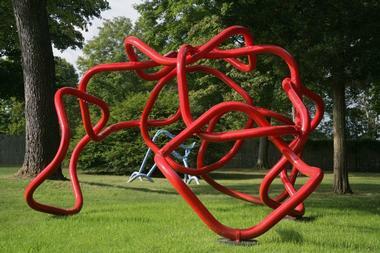 The gallery and studio, which is located adjacent to the Lyme Academy College of Fine Arts, is one of Connecticut's premiere abstract art studios and galleries, showcasing the unique works of artist Gilbert V. Boro. More than 100 beautiful sculptures dot the studio's gardens and grounds, open to the public for exploration 365 days a year during business hours. A loft exhibition gallery displays additional small-scale works, including maquettes and study pieces. Small group tours of the facility may be organized by contacting the studio directly via phone or email. The Aldrich Museum of Contemporary Art is a non-collecting museum that displays original and innovative American contemporary art. The exhibits are always changing, and since the museum's founding in 1964, it has displayed the works of over 8,000 artists. The museum hopes to connect visitors to contemporary art using hands-on workshops, tours, and presentations, and by on-site and classroom programs. Guided tours of the museum are presented by curators and artists, and take visitors through the two-story 1783 building that houses the museum. There is a two-acre sculpture garden on the museum's grounds, a gift shop, and an education center for children and for the professional development of teachers. 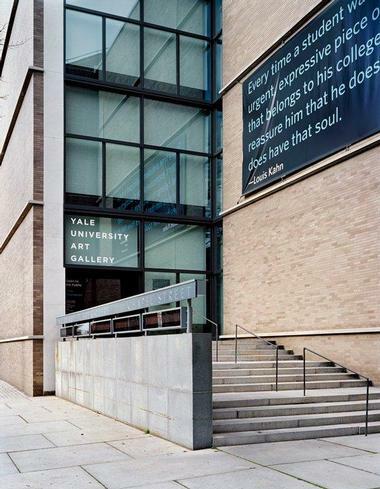 The Yale University Art Gallery is the oldest university art gallery in the Western Hemisphere; it was founded in 1832 after a donation of one hundred paintings. It has vast collections and curates special exhibits. The museum has particularly fine collections of early Italian art, African sculpture, and is considered to have the best collection in the world of American decorative arts. Its modern art collection contains works by such luminaries as Picasso, Degas, Rothko, Miro, and Giacometti. Other collections include coins and medals, Asian art, Indo-Pacific art, Islamic art, and photography. 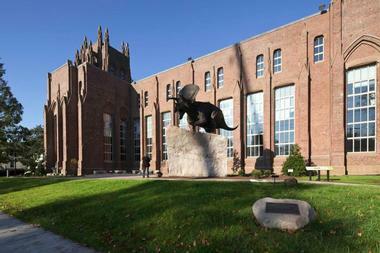 The museum provides educational programs for university students, for New Haven schools, and for the general public. The Children's Museum of Southeastern Connecticut is an educational, interactive, hands-on place where kids from nine months to nine years old can let their imaginations fly and safely explore the world around them. It has 5,000 square feet of space, including an outdoor play space, and is designed to encourage, challenge and engage children to explore sciences, art and cultures of the world. Some of the most popular rooms are the Discovery Room with activities focused on science, the Imaginative Play room, where children can ride a fishing boat or fly a plane, and an outdoor play area with a tree house, climbing wall and whale drum. There is also a special Toddler Land for younger guests.